mhitch2015 has no other items for sale. Halo is a futuristic first-person shooter that casts you in the role of a genetically enhanced super-soldier known only by his rank, Master Chief. The game includes a ten-level campaign playable on four difficulty settings and three multiplayer options: two-player cooperative, four-player competitive via split-screen display, and four-player competitive via System Link. Notable features include rechargeable energy shields, allowing soldiers to quickly recover from enemy damage, and the ability to drive or pilot four types of vehicles. Master Chief will also be able to use ten types of weapons on the battlefield, from assault rifles and rocket launchers to plasma grenades and shotguns. In the most obvious sense, the "Halo" is a space station built in the shape of an enormous rotating wheel. As the wheel spins, it creates centrifugal force that mimics gravity on its inner rim. An entire world exists inside this wheel, with huge developed structures and vast, open landscapes. But something else exists in the Halo as well - something mysterious and powerful. All that is really known is that a force of alien invaders is desperate to find it and they are leaving death and destruction in the wake of their search. This mystery of Halo must be solved and the aliens must be vanquished, before they find what they are looking for and destroy us all. Some of the basic themes and plot points in Halo may be familiar to gamers who have played Marathon, Bungie's successful first-person shooter which was released in 1992 for the Macintosh platform. Among other elements, Marathon is known for intelligent level design and a deep, intriguing story. Though Halo should not be considered a sequel to Marathon, the two share common plot elements and have related back-stories. Initial development of Halo was done simultaneously for the Macintosh, the PC, and the Xbox. 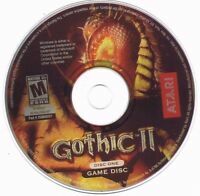 Game keeps going 15 years later with nothing needed but a patch! It's Halo! It has all of the elements I would expect from Red vs Blue. Except for the exceptional comedic value from that show, although what I've played so far has had its moments. This game is updatable to modern computers from a patch, which means it doesn't lose its playtime value. If other game makers did this with their old games, they could keep some of their resale value for ages, instead of becoming abandonware in just a few years. My hat's off to Bungie! Who doesn't like Halo CE. Better yet, who doesn't wanna play CE on the PC. Halo Combat Evolved is a wonderful classic sci-fi first-person-shooter. It's full of marines, starships, a fanatic religious cult and the fabled super-soldier, known as the Master Chief. 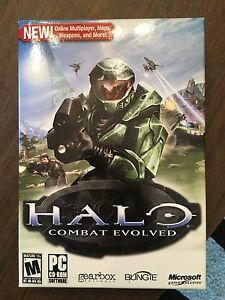 Combat Evolved is a perfect, well-balanced and nostalgic game that was released in 2001 and is one of the greatest video games known to humanity and Sangheili alike. Can't believe this game works and theres actually people online playing! Digital download was made easy, simple, quick. This was the ultimate game back in the day, true childhood. Keen to try out this new mod that was released recently. Thanks mate! One of the most favorite game of all time! I'm absolutely adore Halo! Its campaign is perfect, combat variety is insane and that soundtrack gives me goosebumps! Runs smoothly with no problem on modern Windows 10 PC's. All you need is to install the official bungie patch. Even multiplayer works and lives! Game Review: Anyone can lookup a review of Halo. It is fantastic classic for the original Xbox. Playing on PC raises more benefits because aside from the already amazing story campaign, you can mod the custom edition of the game. This allows you to play with new and improved graphics and often new enemies, etc. I highly recommend playing with a graphical enhancement mod or an overhaul (google "SPV3 Halo"). It will make your game look far better than my screenshots since the base game graphics have not aged too well. Seller Review: The seller delivered. I haven't used Ebay in sometime because I was always quite skeptical. The reviews looked good and I decided to dive in for the nice price. I was not disappointed, his instructions were very clear and I was able to easily install the game and have fun with it on my PC. I highly recommend this seller if you are looking for a copy of Halo PC.